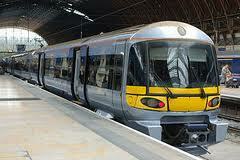 Heathrow Express has launched a new partnership with Avios, allowing you to earn Avios when buying HEX tickets. You cannot earn Avios if you book via the standard Heathrow Express portal (I think). You need to visit www.heathrowexpress.com/avios. Avios will be credited to your account within 21 days from the date of travel, not the date of booking. The requirement to use the special links above means that the Avios are not ‘free’, as you cannot, as far as I can see, combine a promotional code with earning Avios. This means that you cannot mix and match earning Avios with any of the ‘free first class upgrade’ codes that were emailed recently or any other discount codes which may appear (although I don’t think there are any working ones at present). It is not clear if this replaces the old offer of earning Heathrow Rewards points or not. Amex MR transfers to Virgin Flying Club now instantaneous! Good spot however one problem, you can not get railcard discount (Gold card, Network, Senior, Family or Young Persons) on the Hex site. I expect many people living in London and the South East and working in London will have Gold cards through thier annual rail season ticket. one of the best ways to reach your amex min spend for bonus is buying you annual rail ticket on it and pay your amex bill with an intrest free season ticket loan from your employer. I possibly stand corrected, but I don’t think you also earn Heathrow Reward points when you get the Avios bonus. When you book via the standard HEX site, you can log in, which then links your purchase to your HR account and so gives you HR points. If you book via the HEX BA/Avios site, you are simply required to enter your BAEC/Avios account number (so they can credit the Avios) – there does not appear to be a log in option (or anywhere to enter your HR number), so I do not see how they could award you HR points on the purchase. Of course if you’re not using a discount code (per comments above), the HEX BA/Avios site is the far better option. The HR-Avios exchange rate is 1:1, so for a standard class return you would get 200 Avios rather than, effectively, 34 (i.e. the 34 HR points on the £34 purchase). Something that might work (not tried it), log into the Heathrow Express site first, then go to the HEX Avios page, as it’s hosted on the same site you should still be logged in and may get the worldpoints.